Other than bagay siya with almost all my clothes, this pair is also ULTRA comfortable! It has memory foam, which I think is the ultimate edge of Skechers against other sneakers brands! Anyway, so I attended their event last April 28 in Aruga, Rockwell to find out what's new with the brand. Since the event's theme is Move In Style, there was a DJ booth and dance performance by Philippines' A Team before the actual fashion show. They're all wearing Skechers, btw. So aside from the perfect travel shoes, Skechers is also the best footwear for your physical activites. I use a gray Go Step for the gym! The highlight of the afternoon was the fashion show styled by top bloggers Camille Co and Kryz Uy. I love their styling, actually. It inspired me on what to wear next with my Skechers shoes. Camille and Kryz put-together clothes from Zalora, Uniqlo, Mae-Ann Veloso, Gypsy Soul, and Arin, and footwear from Skechers GO Flex Walk, Originals, GO Step, and Burst. “I’m very happy with this collaboration with Skechers, because Skechers shoes are not just comfortable, they are also stylish!” Camille said. 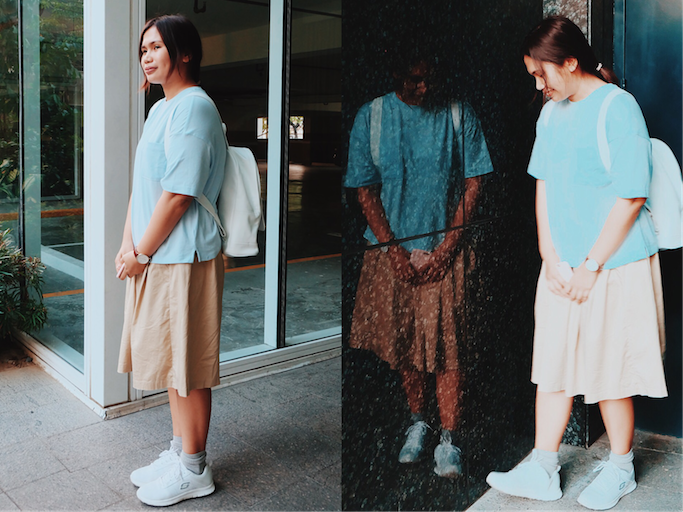 For Kryz, Skechers’ latest are “So on point with the sneaker trend of today. Plus, I love the memory foam—it’s the best thing evaaaah.” Super agree with this!